Half Moon, the successful film by Kurdish Iranian director Bahman Ghobadi, has been banned in his own homeland. The main reason is its supposed portrayal of 'separatist elements', with the inclusion of a map showing Kurdistan as a country in its own right particularly offending the Iranian censor. But the fact that the film shows women singing – something they are forbidden to do publicly in Iran – may also have contributed. The ban is already affecting Ghobadi's career. "I have now been refused permission to make my new film," he says. "I am working on a story about two boys in Teheran. But I will finish it, come what may!" Half Moon highlights Kurdish culture. It tells the story of singer and musician Mamo, who risks his own life and those of his sons in order to return to the stage in 'liberated' Iraqi Kurdistan after the death of Saddam Hussein. Eventually, however, his harsh journey through the barren Kurdish border region proves fatal. 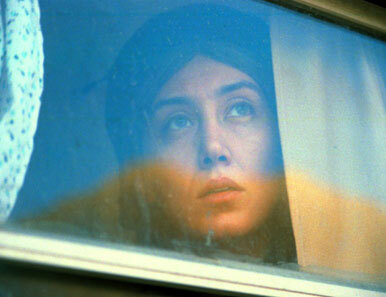 According to Ghobadi, the film can be viewed as a metaphor for his own life. "Mamo is a strongly autobiographical character," he says. "Just as for him, art is my life and my death." For the director, film is a medium to present the lives and sufferings of the Kurdish people. He has achieved huge success in doing that internationally, with movies like A Time for Drunken Horses and Turtles Can Fly picking up dozens of awards. But at home he faces constant obstruction. "The working conditions here are very difficult," he says. "Not just for me, but also for other independent filmmakers. But I am not going to let them grind me down. Whatever it takes, I will carry on with my work!" Vanaf 9 augustus 2007 is Half Moon te zien in Amsterdam, Arnhem, Breda, Den Haag, Rotterdam, Nijmegen en Utrecht.